With Leica CEREBRO helping you drive continuous improvement, you can minimize costs while delivering high-quality diagnostic services to more patients. 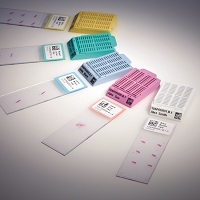 Document your workflow with real-time tracking of every sample. Every time a sample is scanned you will know who touched it, where, when and why. Generate workflow reports that let you visualize and understand your process. View these reports using a standard web browser from any terminal in your network so you have critical information when, where and how you need it. Take a snapshot of your current process and identify and implement improvements. Then, take a new snapshot to quantify the efficiency gains. Leica CEREBRO provides the information that you need to improve your workflow.